BRAND NEW carpet and interior paint in this well maintained place. 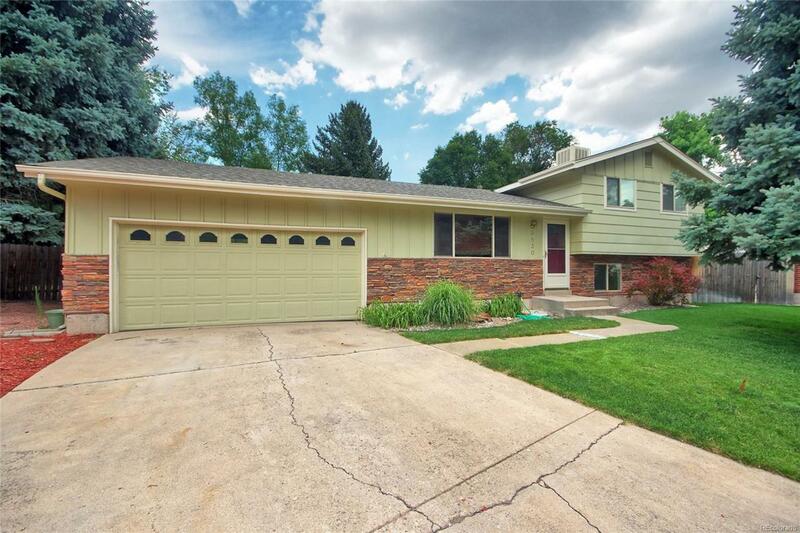 Welcome to your new home, nicely located in Northeastern Colorado Springs, great front and backyard, remodeled bathrooms, and nearby essential amenities. Walk in to a welcoming living space and make your way to a kitchen/dining combo with a walkout patio to a big backyard. The master bedroom is upstairs with an elevated walkout patio. There is an additional bedroom and updated bathroom upstairs. In the lower level, there are two more spacious bedrooms and bathroom. In the basement there is an arts and crafts room, great for crafty hands or children's area. Finished off with a second family area and a laundry room, all containing great amounts of storage. Offered by Thompson Properties Inc.